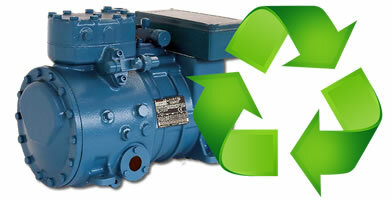 Specialists in the supply, installation & remanufacturing of industrial compressors. 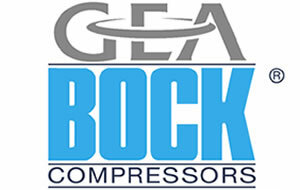 Click here to view our range of new compressors. We supply all makes & models – we are a BOCK authorised dealer. We will make your existing compressor as good as new – right down to the original paint job! We will take away your current compressor for remanufacture & deliver to any location. 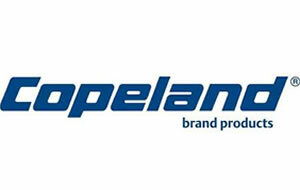 Click here for information about our extensive range of spare parts available from stock. Refrigeration compressor remanufacturing, servicing and repair solutions, for a wide range of refrigeration applications and a diverse variety of industries, at Trumetic Ltd, we’re ready to assist. With extensive experience in the remanufacture and repair of refrigeration compressors, whatever the scale or nature of your project, conducted to meet the tightest of deadlines, our team here at Trumetic can help. Regularly dealing with such renowned brands of compressors as Bitzer, Carrier, Copeland, Daikin, J&E Hall, McQuay, RefComp, Trane, Bock and York, our experience in this industry is unrivalled. In addition we offer a comprehensive collection of new refrigeration compressors, and the installation of refrigeration compressor spare parts. As your specialists in the repair and remanufacture of ALL brands of semi-hermetic, open-drive, screw and scroll compressors for commercial and industrial applications, we provide expert results backed by quality customer service and support. From onsite compressor extraction and on-site compressor installation services to expert compressor remanufacturing, our experienced team is able to meet and exceed your complete compressor requirements. Brands of refrigeration compressor Trumetic remanufacture & repair: Bitzer, Carrier, Copeland, Daikin, J&E Hall, McQuay, RefComp, Trane, Bock and York. Trumetic will remanufacture any refrigeration compressor, even if not listed here.